Enrollment deadline for the 23rd Annual USA Songwriting Competition is fast approaching, May 31st is the deadline to enter the competition. Songwriters and Composers vie for a chance to win a top prize of $50,000 worth of cash and merchandise such as music gear. Winning songs will be receiving radio airplay. Songwriters can enter in 15 different song categories such as: Pop, Rock/Alt, Folk, R&B, Hip-Hop, Jazz, Instrumental, etc. USA Songwriting Competition is sponsored by: Sony, D'Addario Strings, Recording Magazine, New Music Weekly, Loggins Promotion, Airplay Access, Audio-Technica, Presonus, Sonoma Wireworks, SongTrust.com, KJug Guitars, Discmakers, CDBaby, KJug Guitars, Storyblocks and Berklee College of Music. 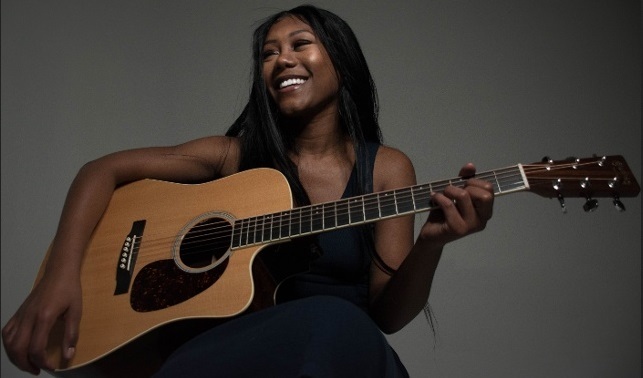 Priscilla Renea Hairston (see pictured) of Los Angeles, California has won the Overall Grand Prize and First Prize in the Pop category in the 22nd Annual USA Songwriting Competition with her song "Family Tree" along with songwriters Boots Ottstad and Ben Burgess. This is her first win in any Songwriting Competition. Her winning song "Family Tree" is a touching mid-tempo song based on a true story on Priscilla's turbulent early life. Additionally, she co-wrote a song "Love So Soft", which was recorded by Kelly Clarkson, received a nomination for Best Pop Solo Performance at the 60th Annual Grammy Awards. The song hit #47 on the Billboard Hot 100 Charts. Priscilla was signed to Capitol Records in 2009. She is also a professional songwriter, her songs she has written reads like who-who's in Pop music. Her songs were recorded by Rihanna, Mariah Carey, Fifth Harmony, Demi Lovato, Rihanna, Madonna, Selena Gomez and Chris Brown. Several of her songs have hit the Billboard Hot 100 Charts.